Stunning, pigmented shades, blendable formula, smooth and easy to apply. "All you need" palette for travel. 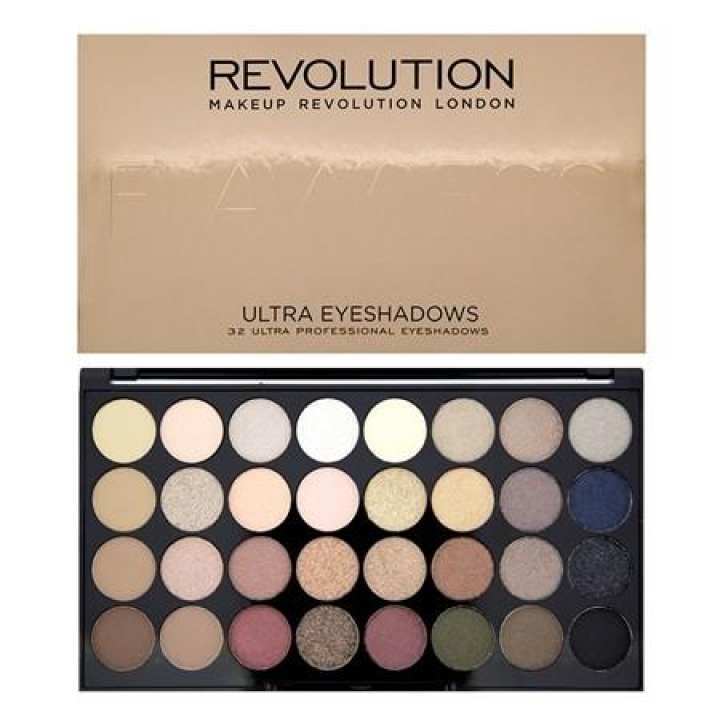 Makeup Revolution's Flawless Ultra 32 Eye Shadow Palette is the perfect professional eye shadow go to palette. It has all you need in one handy collection palette. Stunning, pigmented shades, blendable formula, smooth and easy to apply. Large, convenient mirror.